All Craft Media in Administration! The latest scoop on the ACM/Sock Club debacle: One company ends, a new one takes its place. Second verse, same as the first. 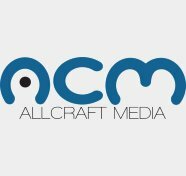 So now, the company formerly known as KAL Media, which then became All Craft Media (ACM), is now Handmade Living Limited -- while KAL was owned by Kerrie and ACM owned by her husband, this new phoenix company is owned by Kerrie's father. This is the company that published a magazine once known as Yarn Forward, which then changed its name to KNIT Magazine, and now known as Yarnwise (that is, if it continues to be published). This mess stretches out beyond the knitting & crochet world: While it seems like KNIT and Inside Crochet will not be continuing for much longer, this company still publishes Sew Hip, Simply Beautiful, Modern Quilting and Handmade Living. Word is spreading in the sewing world, too. So what happens next? All I can suggest for all crafters is to stay far, far away from Kerrie Allman and her projects. Anybody who is owed money or goods by All Craft Media should make contact with the Administrator. This includes those people who have advance subscriptions to magazines: Knit (Yarnwise), Inside Crochet, Sew Hip, Modern Quilting, Simply Beautiful and Handmade Living, as well as anybody subscribing to the 2012 Sock Club or the 2011 Lace Club linked to Knit Magazine and the Arigurami members linked to Inside Crochet. Wow, does the drama never end over there? Thanks for keeping us posted on the latest.